Jamaica is known for many things; reggae, rum, laidback vibes and some of the most beautiful and breathtaking sunsets. Negril is a perfect setting to witness such natural splendor and indeed the place boasts some of the most spectacular sunsets. 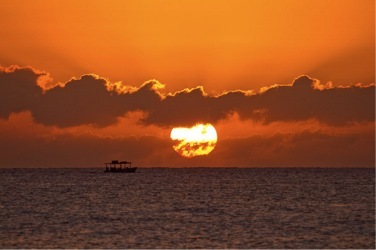 The orange hue of the Negril sunset is unique, superb, and unlike any other when compared with other places in the world. The dusky orange rays fill the sky at 5pm and the dazzling golden sun descends on the horizon casting a hazy glow across the island. 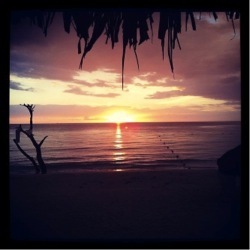 Negril sunset is truly one of the best in the western hemisphere. It’s no surprise then that Couples Swept Away was recently recognized by Trip Advisor for one of ten stunning sunset locations in the world. With over 13 hours of daily sunshine, 365 days of the year, visitors have been known to travel from far and wide to catch some rays and take in the breathtaking waves that move across the shoreline of the deep blue ocean. During the evenings, guests can usually be seen gathering together on the shore to be a part of the phenomenal experience. No matter how many sunsets you’ve witnessed, the stunning site still manages to leave you in a state of awe and admiration of nature. So, if you are a lover of sunsets why not visit us in Jamaica at Couples Swept Away? Celebrate your love and romance with your loved one (you couldn’t ask for a morepicture perfect background for a Caribbean sunset wedding at your ultimate all-inclusive caribbean holiday destination.